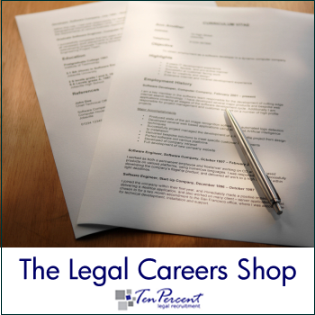 Our Legal Careers Shop sells a Training Contract Pack offering savings of over £100, eBooks on CV Writing for Lawyers, Legal Job Interview Guide, Interview Answers for Lawyers, NQ Career Guide, Guide to Finding Work Experience or a Training Contract and the Entrants Guide to the Legal Profession. To visit our Sale/Clearance section please click here. April Legal Recruitment News now published live on http://www.legal-recruitment.co.uk/ Please visit the site to read and subscribe to our newsletters for: 1. Law Firm Employers 2. Candidates 3. Legal Careers. Ten-Percent Legal Recruitment - Online Legal Recruitment for Solicitors, Legal Executives, Fee Earners, Support Staff, Managers and Paralegals. Visit our Website to search or download our Vacancy Database or view our Candidate Database online. Can you do Magic? A London Law Firm are looking for a Magician A firm in South West London are interested in employing a solicitor who is an experienced magician. This may sound a little bizarre, but the firm have had the idea of someone doing magic tricks whilst pitching to clients. Is this a wind up? We dont think so - the firm sounded deadly serious. They mentioned possibly hiring someone who had done quite a bit of work on stage as an alternative. If you think you can stand on your head whilst balancing an apple on your chin and juggling three chain saws with your feet, and at the same time do a presentation on recent changes to employment legislation, please get in touch. VAC 14295. Ten-Percent Legal Recruitment - Online Legal Recruitment for Solicitors, Legal Executives, Fee Earners, Support Staff, Managers and Paralegals. Visit our Website to search or download our Vacancy Database or view our Candidate Database online.